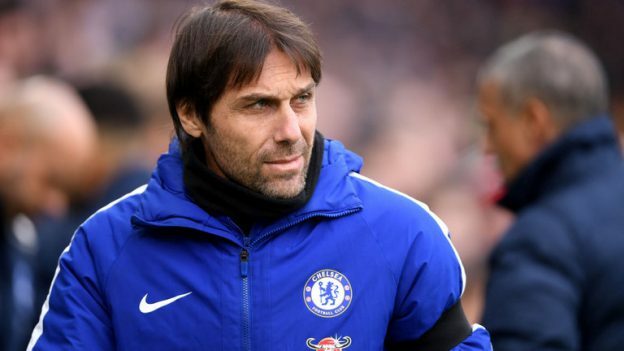 Chelsea is in another situation where it seems more like a repeat of what happened under Jose Mourinho after winning the league as it did happen under Carlo Ancelotti. Chelsea’s reoccurring problem after every successful stint calls for worry by fans and board. This is a system that has to be changed if the club wants to attain a consistent level of success not a sinusoidal success. The current Premier League champions have to look inward to solve their lingering crisis. The club owner has to find a way to make things work beyond every manager and still keeping the club at harmony. Wherever there is a problem at a club, the manager is always the one whose head is called for. It is understandable because that’s how the sport is set up. Antonio Conte can’t be excluded from this problem in all sincerity. The Italian has also had issues with the way he managed things at the club. The sale of Diego Costa is one that always comes to mind easily. After chasing your highest goal scorer in a league winning season makes it an extremely difficult and daunting task for whoever his replacement to not be compared to him especially if he’s not living up to the expectation. Alvaro Morata has not had a perfect start to life in England and has he has dropped form; it becomes more difficult not to compare if Costa was there he wouldn’t do better. The tactical rigidity that Conte has stuck to makes it difficult when the players that suit that style are off form. Hazard and Morata have not been in their best form recently and this is a big worry for the manager. Now selling Batshuayi for a second striker at another club Olivier Giroud, to come and become a second striker at your club begs the question, why is he not willing to trust Batshuayi in the first place? All these cannot make him be excluded from the problem at the club which most likely is a reason he won’t be at Stamford Bridge next season beyond just scoring once and conceding seven against two clubs struggling in the league in their last two outings. At Chelsea, every time a manager comes in and things start going south, the rebellious act by some set of senior players at the club does not help matter and the club management seems not to find a problem with it. Starting from Mourinho’s first stint at the club to AVB and Benitez, the likes of Lampard, Terry and Drogba seems to always find a way to divide the dressing room when they don’t have it their way. Even during the time of Ancelloti who won the league and is just six points off the leaders, sitting second on the log, he started having issues with players and board and was just able to finish his second year at the club. If the management seems not to see a problem with this, then they should brace up for a repeat when a new manager comes in next season. There should be this aura that a coach has control over the club and can always have the final say on many issues. The players will start having a different orientation in how things work at the club. With Luis Enrique likely to be the replacement to Conte, how will the management react whenever results doesn’t go his way? The Chelsea need to realise the problem lies more with the club than the managers. On the other hand, Chelsea will be entertaining West Brom at the Stamford Bridge Stadium, and visit NetBet for some decent gambling odds will make a lot of sense, as they’re offering some high numbers at the moment. This entry was posted in Previous Posts on 08/02/2018 by leighc10.